Did Coldplay Plagiarize Guitarist Joe Satriani? 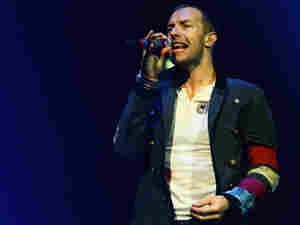 This past summer, you might have found it impossible to avoid the string-saturated "Viva La Vida" by Coldplay. Guitarist Joe Satriani thinks it sounds remarkably similar to his 2004 song "If I Could Fly" and has sued for copyright infringement. If you were near a radio or in a bar this past summer, you might have found it impossible to avoid the string-saturated "Viva La Vida" by Coldplay. Guitarist Joe Satriani heard the song, too, and it made him think about a song he wrote and performed in 2004: an instrumental called "If I Could Fly." When Satriani tried to contact Coldplay and didn't hear back after several months, he filed a copyright-infringement lawsuit against the band last week. To add fuel to Satriani's fire, Coldplay's CD Viva La Vida is a No. 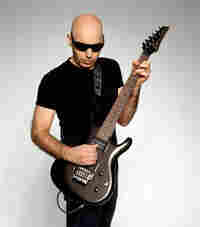 1-selling album in 36 countries and a Grammy Award nominee, while Satriani's song never made it big. This certainly isn't the first time two songs have sounded the same. The Chiffons waged a lengthy legal battle against The Beatles' George Harrison over the similarities between "My Sweet Lord" and The Chiffons' "He's So Fine." Harrison eventually admitted to "subconsciously copying" the song and paid the band royalties. Timothy English, author of Sounds Like Teen Spirit, says the two songs are similar, but work in different genres — Satriani's a rock instrumental and Coldplay's a more mainstream pop song. He says this occurrence isn't all that rare. "It happens quite often for ... a lot of different reasons," English says. "One, there is just a large quantity of recorded music. And rock music as a genre is now well over 50 years old. The amount of originality you can have is starting to get limited." But these occurrences aren't without benefits. Over this past weekend, the YouTube video that compares the two songs jumped to 1 million visitors. "The plagiarism allegation has gone platinum," host Robert Siegel says.